The iPad 2 is thinner and lighter, but how exactly did the hardware designers accomplish that feat? 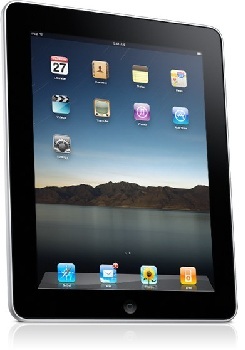 The new iPad 2 was announced on March 2nd, and sold more than a million units in the days following its release on March 11th. The biggest differentiator from the original is that the iPad 2 is .2 pounds or 90.7 grams lighter while shaving off a third of its thickness. While the new tablet has a fancy new dual-core 1ghz CPU, most of the specs were the same, including battery life. The designers at Apple don't usually divulge the inner-workings of what's changed between models - probably because Steve Jobs would go to their house and eat them - but that's why the guys at IHS iSuppli spend time meticulously breaking down electronics products and posting their findings online. The lightness of the iPad 2 comes from using three smaller and thinner batteries to power the unit instead two thick ones. Less plastic was then used to house the batteries, which further reduced the weight and thickness. Finally, a stamped metal sheet that lie behind the glass display was removed. The result is a brand new machine that is totally worth another 800 bones for Apple fans. The full report from iSuppli will set you back thousands of dollars and provide the manufacturer and model number of each part used to make an iPad 2, but the changes listed in the report were thankfully summarized by the New York Times tech blog. I guess sometimes it helps being a dinosaur.